(Updated, 1 time) Aviation Updates Philippines - As Philippine Airlines retires its Boeing 747-400 fleet, the 747 passed the crown to the Boeing 777-300ER as its new flagship. The retirement of the 747s was a move for Philippine Airlines to save more from the fuel-efficient planes. These Boeing 777s operated flights from Australia, Canada, and the United Kingdom in the Category 2 days. Now, that the United States Federal Aviation Administration upgraded our safety rating to Category 1, the Boeing 777-300ERs will now be used in the United States. Yesterday at the retiring ceremony of the Boeing 747, the airline announced to start Boeing 777-300ER service to San Francisco in June. 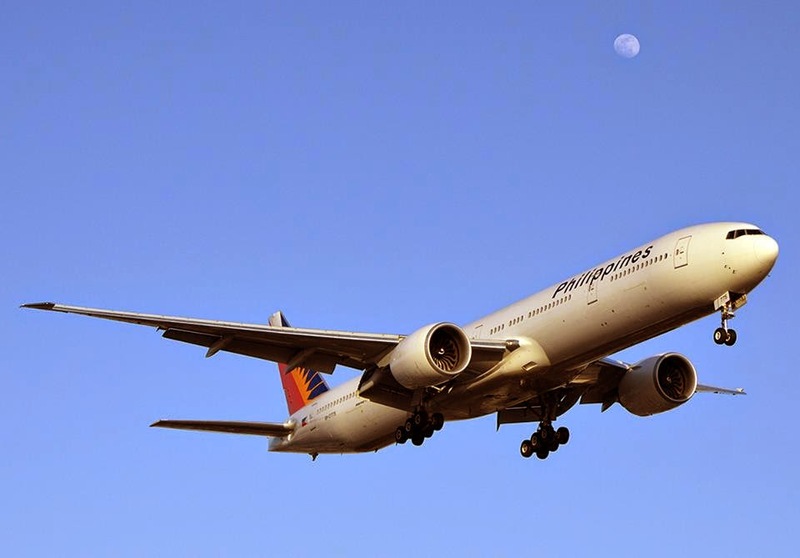 Last May 3, Philippine Airlines started its Boeing 777-300ER operations to Los Angeles flying 7 times a week. The airline currently flies to Los Angeles 11 times a week. In the retiring ceremony, two ABS-CBN stars showed up to entertain those who attended the ceremony. They are Martin Nievera and Karylle which sang for the audience. The Boeing 747s offered their 35 years of service crossing the Pacific back and forth. Philippine Airlines operated a Boeing 747-200B in their early days, but after several years of service, the airline retired it and replaced by the -400 series. Ramon Ang announced that he will probably order new generation planes for Philippine Airlines. He is considering the Airbus A350 and Boeing 777X. Philippine Airlines is also preparing to launch flights to New York via Vancouver in October. Ramon Ang is also considering Seoul and Tokyo for the possible stop-over for the flight to New York. For European flights, the airline is also eyeing to launch flights to Frankfurt, Amsterdam, Rome and Paris. But, the airline have to wait for the viability study. Last November, Philippine Airlines launched its direct flight to London flying 5 times a week. For the year of 2014, Philippine Airlines is hoping to have a profitable year as it reported a $250 million to write off the old aircraft.